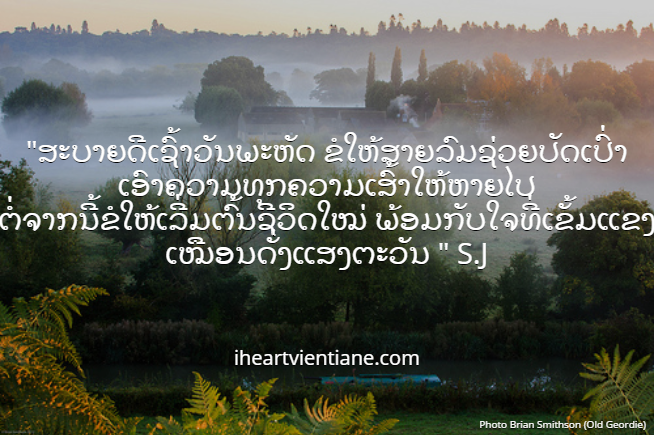 I Heart Vientiane: ສ​ະ​ບາຍ​ດີ​ເຊົ້າ​ວັນ​ພະ​ຫັດ Good morning Thursday! Morning everyone ! Sabiadee Took Took Kon! I hope you begin your morning as bright as the Sun. This quote is written by my cousin who loves to write lots of quotes and want to be identified as S.J . translate it if you want in the comment below.